I will be running at next month’s Leadville 100 run. My goal is to finish half of it. Specifically, the second half, where I’ll be pacing 5-time 100-mile racer Harry Hamilton. This is something of a leap for me, as 50 miles is a good chunk to run in the high mountains at night and it will be my debut as pacer for an ultra. Both components of the event – the running and the pacing – are pretty exciting for me and I’m really looking forward to enjoying the course and helping a fellow runner achieve something meaningful. Harry is based in New Jersey, which makes getting to and planning for a Colorado race something of a challenge. He emailed out an open call for pacers through the Boulder Trail Runners list and I jumped at the chance to be part of his run. After talking a couple of times by phone, we’ve decided we’re a good fit and we’re now talking race strategy. And we’re both working to be physically ready for the very long day of running – Harry is actually running the Vermont 100 Endurance Race later this month, presumably as something of a warm-up for Leadville. Running a 100-miler, ever, is a major accomplishment and one that I’ve been working up to for years. He’s doing two in less than a month. Super impressive. For those who aren’t familiar with a pacer’s duties at an ultra-marathon, a great overview can be found on Tim Long’s blog. Basically, the pacer runs (or hikes, then walks, then stumbles) along with the runner for the latter stages of a long race, in order to provide emotional, psychological, physical, navigational, nutritional, and logistical support. Late into a long race – some ultras literally take days to finish – the runner can get loopy and it helps just to have another person around who can sympathize, empathize, encourage, and, if necessary, spare a sock for an unanticipated deep-in-the-woods bathroom clean-up. I get to be that guy! Of course, tagging along for upwards of 50 miles can be something of a genuine effort for the pacer. 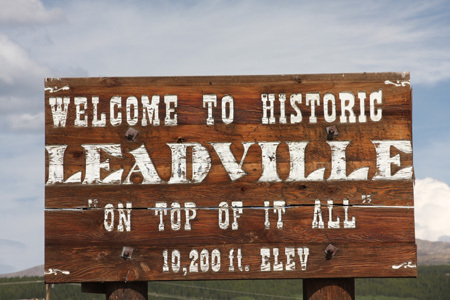 So, I’ll get in a long training day for my own upcoming 100 and get a unique opportunity to experience the iconic Leadville 100 course (it is an out-and-back so I’ll get to see pretty much all of it). Though I’m taking nothing for granted in my own running and am unsure what goals to rejigger after October 27th, I’m hoping to be back out on the Leadville course next year myself, to tackle the full distance. I’ll be looking for pacers, too, so keep me in mind if you’d like to give pacing a try and you have some extra socks.